Hot melt adhesives are characterized by high surface tack, and high bonding strength, which makes them the perfect adhesives that can work with rat glue traps and insect glue traps. Solvent based adhesives are made as sprayer glues. 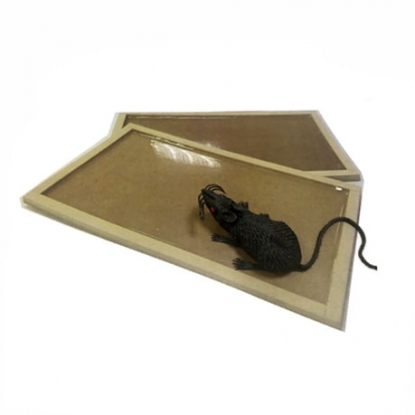 Two types of rat/ insect glues trap make rats and insects difficult to get away with it after fall for the traps, which improves our environment hygiene. Workable for winter only rat glue traps, rat trap board adhesives, adhesives for rat glue trap, no dripping rat adhesives. High surface tack and high bonding strength make rats difficult to get away with it after fall for the traps, which improves our environment hygiene. Workable for insect glue traps, hot melt adhesives for insect traps & flypapers, hot melt adhesives for roach motels. High surface tack and high bonding strength make roaches difficult to get away with it after fall for the traps, which improves our environment hygiene. Easily operated solvent based PSA, high surface tack adhesives that can be applied to anti-pest sticky spray.